Someone once said “Worry is interest paid in advance for a debt you may never owe.” I had never thought of it in those terms before but the analogy is really quite a good one. Consider the interest that accrues on your credit cards or mortgage, things you actually have bought; the added charges mount up substantially over the months it takes to pay them off. Imagine paying those charges for no reason, not ever having made a purchase. Doesn’t make much sense does it? It would probably outrage you if your bank tried that, it would me. And yet we do the same thing with our worries and we do it to ourselves. Clearly, the Bible teaches us that God will provide for us. We only need to be about our Father’s business, laying up treasures in Heaven. Are you as guilty as I am of paying interest on debts yet made? The next time you feel or see that you are take it to God in prayer and put your energy into something productive for the Lord. In the current state of the economy, the geopolitical environment and the many crises we face in our nation it is no wonder a new disorder has been ‘discovered’: generalized anxiety disorder, or GAD. And we have not even touched on the multitude of things in our personal lives that we worry and fret over. 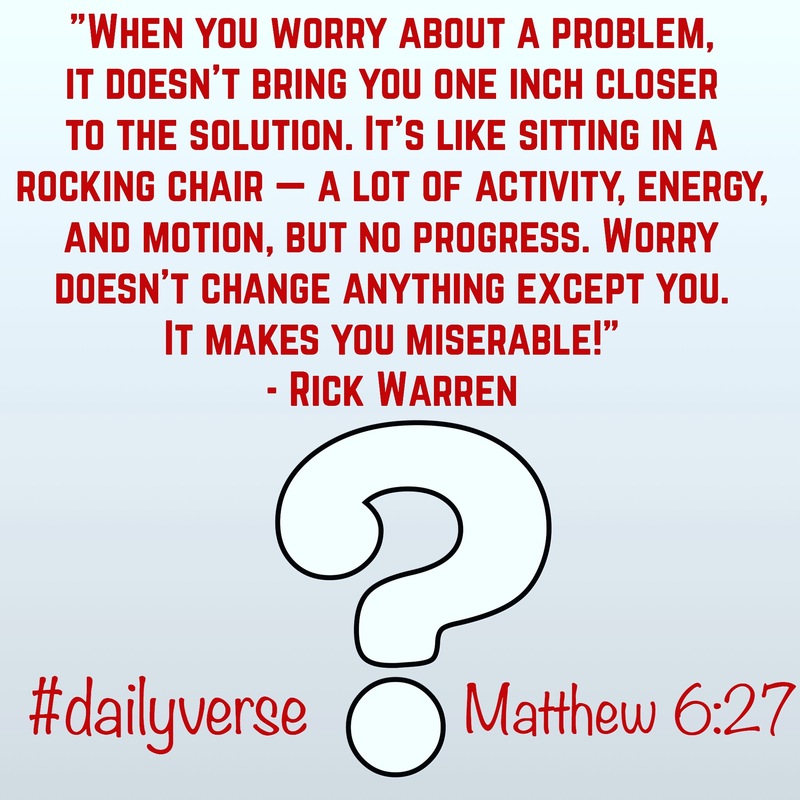 We are a culture of worry-warts. Worrying is not something that is productive or healthy. Anxiety leads to depression, high blood pressure, respiratory aliments, nausea and many other problems. And Scripture teaches we ought not to do it (Phi. 4:6, Luke 12:6-7). And we have the assurance that God will give us the grace we need to face anything (Heb. 4:16). When we have done what we can about a situation, there comes a point when we need to just turn it over to God and let Him handle it. And then just trust Him will all of your heart and let Him have His way. 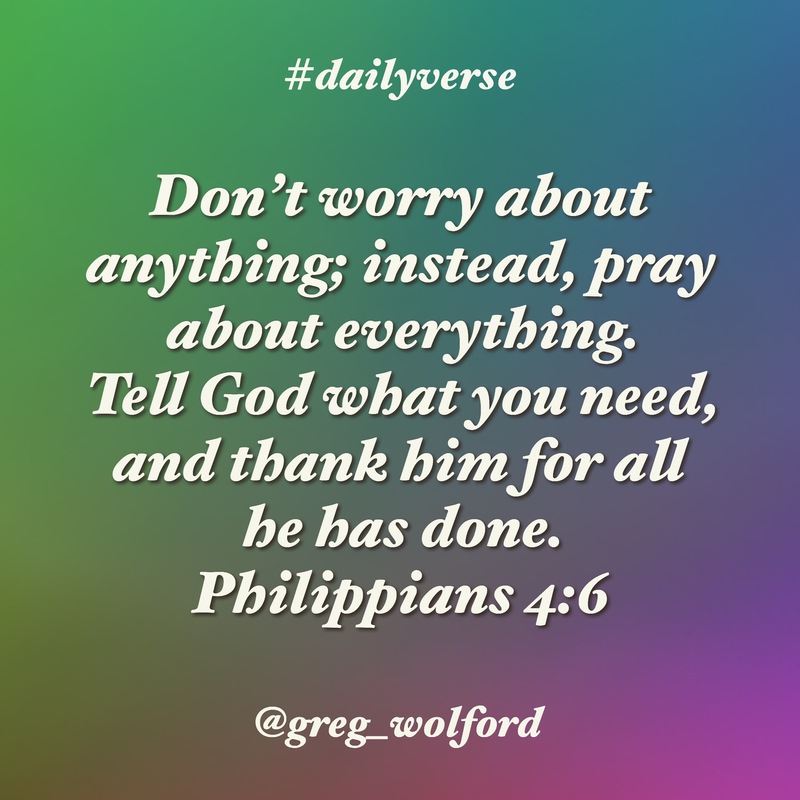 I know it is not Your will we worry and be anxious over things but to bring them to You. I pray to know when that it is time to turn my anxieties over to You and for the strength and courage to do it.